This set is very hard to find as a complete folio this one is all A/P. Charles Blackman studied drawing when living in Sydney NSW. 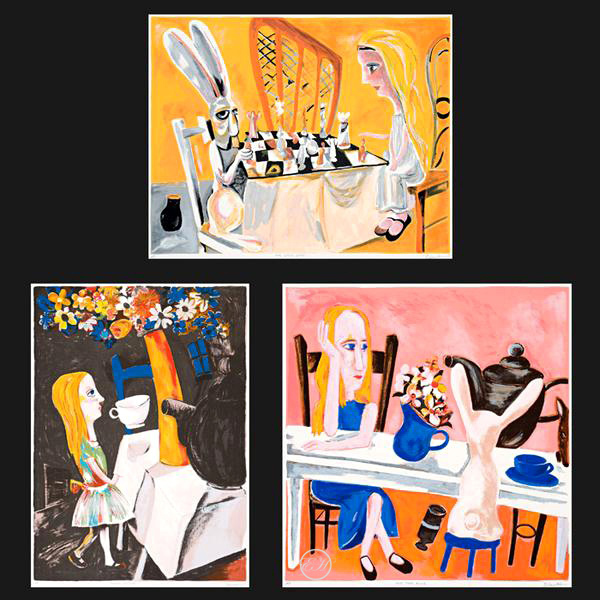 Charles Blackman is self-taught as a painter printmaker, Artist (painter), Artist water-colourists), Drawer. Charles married Barbara Blackman, during this time he mostly worked in Australia (VIC), QLD, and NSW. When Charles moved to Melbourne in 1950 he shortly after decided to study lithography at Royal Melbourne Institute of Technology in 1953 and produced about 12 lithographs. These are monotypes from c.1957. Since 1967 he has produced series of screen prints, etchings and lithographs, all of which have been commercially released Limited Editions. Charles Blackman produced many loved Paintings, Etchings, Lithographs, Silkscreen artworks during his career, Etching House collects trades a and sells a range of fine art by Charles Blackman.